Be seduced by beautiful Istria! Free extras with your next booking! Villa Luna Nera is located in the village of Sveti Petar u Sumi. It offers an ideal holiday in a modern setting for friends or families traveling together. The home accommodates up to 6 guests. At your disposal are 3 bedrooms, 2 bathrooms, living room and fully equipped kitchen with dining area. The outside area includes a nice green garden with swimming pool, a terrace with a charcoal barbecue and dining area. Luna Nera is air conditioned, has Wi-Fi, private parking for 2 cars and provides everything for an enjoyable holiday. Charming detail: Villa Luna Nera is a modern home with all traditional Mediterranean elements taken into consideration. Enjoy the modern amenities inside, or step outside and dine al-fresco on the terrace and take in the breeze from the surrounding areas. 05.01.2019 17.05.2019 EUR 142,85 1000 € per week, min. 4 nights. 18.05.2019 14.06.2019 EUR 148,57 1040 € per week, min. 4 nights. 15.06.2019 28.06.2019 EUR 189,28 1325 € per week, min. 4 nights. 29.06.2019 05.07.2019 EUR 244,28 1710 € per week, min. 7 nights. 06.07.2019 23.08.2019 EUR 270,00 1890 € per week, min. 7 nights. 24.08.2019 30.08.2019 EUR 244,28 1710 € per week, min. 7 nights. 31.08.2019 13.09.2019 EUR 189,28 1325 € per week, min. 4 nights. 14.09.2019 20.09.2019 EUR 148,57 1040 € per week, min. 4 nights. 21.09.2019 15.12.2019 EUR 142,85 1000 € per week, min. 4 nights. The price includes everything listed in the property details, VAT and tourist tax. Pet fee: 50 € per pet per week (max. one pet). Baby cot and highchair available on request. Property damage security: A 400.00 € refundable damage deposit is required upon check-in. The deposit is paid directly to the owner. Note that in high season (19.05 – 22.09.) check-in is available only on Saturdays and minimum stay is 7 nights. Please read our Terms and Conditions for all details. 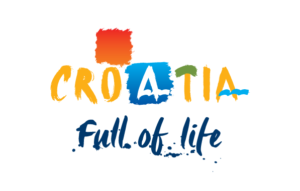 Join Norway at the European Handball Championship 2018 in Croatia!